The intensity and adrenaline rush got from a game of baseball is unfathomable. One of the most entertaining things about this game is the sound that is released when a baseball hits a bat. This is what is called a pop sound. It is crucial to note that very few baseball bats give you this sound. One of the most popular bats that lets you experience this pop sound and other advantages is the DeMarini CF8. Below we will delve into details review regarding Demarini cf8 bats and some of their pros and cons. The Demarini engineers have combined technology and science to provide users with a magnificent bat. Demarini cf8’s barrel comes with a cap which creates a balanced fastpitch bat. They weigh their bats before selling them so as to ensure they meet the recommended weight. It is also fitted with power hitting mechanics which puts you at an advantage when it comes to hitting softballs and hard balls. As some of you might wonder a sweet spot is an area where it produces a maximum hit once a ball meets a bat at that position. Unlike other baseball bats, the Demarini cf8 has a larger than the normal sweet spot to increase the maximum hit. Additionally, it is also Fitted with a Thermo fused taper, which enhances balance providing powerful hits among average and powerful hitters. In earlier predecessors, Demarini bats used fusion technique to distribute energy around the bat. Although not optimum, this technique generally allowed the hitter to have a comfortable feel, hence allowing a balanced control. Currently, Demarini has introduced a new technology that gives the hitter an advantage when playing. Over years Demarini has developed cutting-edge technology that ensures the evolution of baseball. The Demarini cf8 production line has introduced a new technique called paradox +. This is a composite material that guarantees durability and comfort. Typically, it makes this bat lighter and gives it a larger than normal extended sweet spot, thus creating a splendid balance. The carbon fiber barrel present in the DeMarini cf8 gives a host of advantages when it comes to using it. One of its significant advantages is that the barrel increases speed and distance of a hit ball, thus enhancing your baseball skills while playing. Vibration has been the greatest challenge that most bat makers have tried to minimize. The DeMarini cf8 has introduced the D- fusion 2.0 Handle which reduces vibration by redirecting energy back to the barrel. This, in turn, boosts your skills while enjoying a baseball game. One of the best features that endear users to this bat is the fact that it involves science and technology to revolutionize this game. The DeMarini cf8 introduced a low pro end cap that not only guarantees smooth swing among hitters but also gives them the balance they need. It is extremely comfortable and breaks in fast. It has a larger than the normal sweet spot that guarantees a pop sound. Additionally, it is fitted with thermo fused taper that enhances balance. New Paradox plus technology provides the bat with a larger than normal sweet spot, hence providing a great balance. One of its greatest disadvantages is that it is a high-end bat. This creates a challenge for users who wish to practice with it. There are other better bats in the market that are much cheaper and can guarantee durability. The DeMarini cf8 fastpitch bat (-10) is a revolutionary bat that is made of carbon fiber. This gives it an advantage when it comes to durability, balance, and comfort. Additionally, it comes with a longer barrel which gives maximum plate coverage. Paradox plus composite barrel – this new technique provides hitters with a larger sweet spot, hence developing skills for youthful players. It also guarantees durability and comfort, hence giving a longer and greater experience while playing. It also provides a wonderful pop sound. As much as the bat has features that prove to benefit its durability, it is actually poor in terms of durability and even though you get a warranty service, you will have to wait for long periods so that you can get a replacement. This 2 ¼ inch barrel bat has a fully composite design. This makes it durable and easy and comfortable for any hitter. It is efficient in developing slapping and its lightweight design is commendable. Paradox plus technique – this is a composite material that Demarini have added to this bat. It provides a larger than the normal sweet spot at the same time enhancing both comfort and durability. Long Barrel – its long light composite barrel provides a maximum plate coverage which gives you a larger sweet spot. Perfect pop sound – Demarini Company has developed their bats to provide a larger sweet spot which gives a wonderful pop sound when a ball hits it. This bat is no different, with a 2 ¼ inch barrel; it gives a commendable pop sound which guarantees a wonderful thrill while playing. Although this bat gets wonderful reviews, it is quite expensive and for a lower price, you can find a better bat. The Wilson Demarini 2016 CF8 Fastpitch Bat (-11) comes with wonderful color designs which endear it to youthful players. It is lightweight weighing only 2 pounds which makes it easier for hitting softballs. As mentioned, the Demarini bats never disappoint when it comes producing a pop sound. This is no different for the Wilson Demarini 2016 CF8 Fastpitch Bat (-11), it has a wonderful pop sound that is indistinguishable in a crowd. It comes with a paradox plus feature that develops a player’s skills and also provides a great balance while playing. Its long barrel provides a larger sweet spot which makes it easier for players to hit powerful hits. 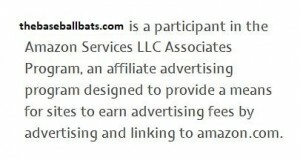 It is quite expensive, and for a little less you can get a better bat with greater features. It is less durable, several users have reported it cracking just after the warranty period with others reporting breakages. The synthetic DeMarini 2016 CF8 Insane Fastpitch Bat provides a wonderful pop sound. It is an upgrade of the cf -10, thus providing a slight end load. Dish end cap – the dish end cap is of concave design which creates a mass stiffness at the end of the barrel. This helps in driving back the energy to the sweet spot. D – Fusion 2.0 handle – the DeMarini 2016 CF8 Insane Fastpitch Bat comes with a D – Fusion 2.0 handle which reduces vibration by distributing energy got from hitting a ball back to the barrel. Paradox plus composite barrel – as mentioned, this composite barrel feature boosts balance and also provides a larger sweet spot. The greatest challenge for this bat has been its durability. Coupled with poor warranty service this bat won’t serve you for longer periods. The Wilson Demarini 2016 CF8 Hope Fastpitch Bat (-10) comes as a game ready bat which means it won’t require a break in period. It has a 2 ¼ inch barrel diameter and a paradox plus feature which enlarges the sweet spot. It doesn’t require a break in period, hence it is ready from the moment you unwrap it. It is lightweight and provides a wonderful balance while playing. As is the case with other DeMarini bats, it has a superb pop sound. It is quite expensive when compared to other bats with similar features in the market. The Wilson DeMarini cf8 barrel league baseball bat comes with an ordinary pop sound and a lightweight design. It also comes with a premium paradox plus composite barrel which means it doesn’t need a break in period. It is light weighing 32/22 oz. thus providing a wonderful balance while playing. The Wilson DeMarini cf8 barrel league baseball bat also comes with a longer barrel, hence providing you with a larger sweet spot. It also lets you experience both balance and power – developing your baseball skills. It is not durable and requesting for a replacement can take ages. The DeMarini 2016 CF8 BBCOR Baseball Bat comes with a 2 piece bat construction which guarantees you balance and power. It is BBCOR certified, meaning it is licensed for use among high schools and NCAA play. Paradox plus composite barrel – this means it comes hot out of the wrapper, thus no need for the break-in period. It has a large diameter which enlarges the sweet spot. Additionally, it also has a massive pop sound. It also comes with a 1 year warranty period. It is expensive, and for a similar price, you could have a better bat. It is weak and can’t guarantee you durability. 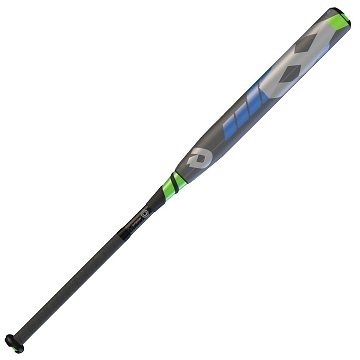 The DeMarini 2016 CF8 Youth Baseball Bat provides hitters with a wonderful balance. It comes with a wonderful design, giving a good balance. The DeMarini 2016 CF8 Youth Baseball Bat gives players a bit of both world–balance and power. It also comes with a paradox plus composite barrel which means its ready for game time. It is quite durable when compared to other DeMarini bats. It has a weak pop sound when compared to other bats in the market. The Wilson DeMarini CF8 Big Barrel Baseball Bat offers wonderful balance and power. It has a longer barrel which enlarges the sweet spot. Additionally, it is light and offers powerful hits. It comes with a paradox plus composite design which makes it game ready. The Wilson DeMarini CF8 Big Barrel Baseball Bat offers a great pop sound which can’t be mistaken for another bat. It is less durable and even with a warranty, it can take you longer periods to get a replacement. In the Demarini CF8 reviews, we know that these bats are a baseball bat. Endowed with wonderful features such as great pop sound and a larger sweet spot, the DeMarini cf8 can easily be distinguished from other bats. It is noteworthy that these bats can give wonderful memories on the pitch while at the same time developing your skills. Although it is endowed with all these features, the DeMarini cf8 has an Achilles heel; meaning it has a poor durability record. Their warranty customer service is poor and it might take ages for you to have a replacement.